YOU’LL GET 25% OFF YOUR ENTIRE PURCHASE. You can select from Epub, Mobi, or PDF file formats. 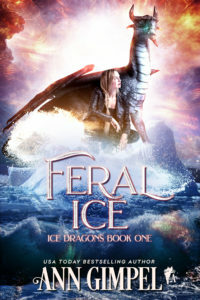 Feral Ice is still just 2.99. I’m leaving it at that price until the entire series releases. After that, it will be 3.99 like the next two books in the Ice Dragon trilogy. Treat yourself! Experience dragon shifters like you’ve never seen them before.